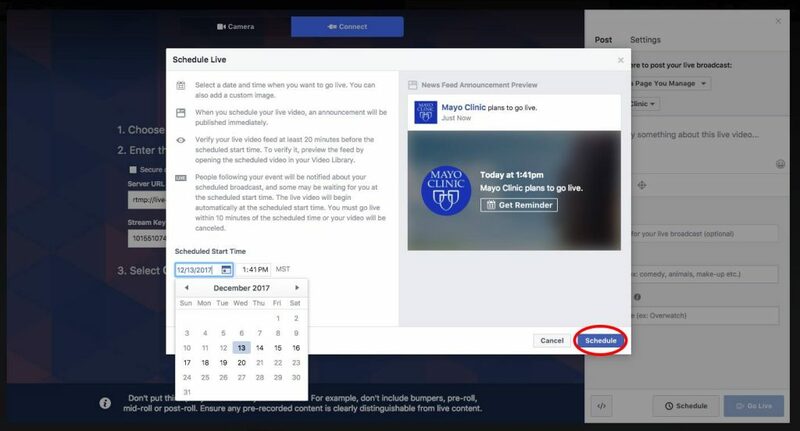 In presentations at the #MCSMN Annual Conference and Residency this week, several people have asked me how to schedule a Facebook Live on Facebook. 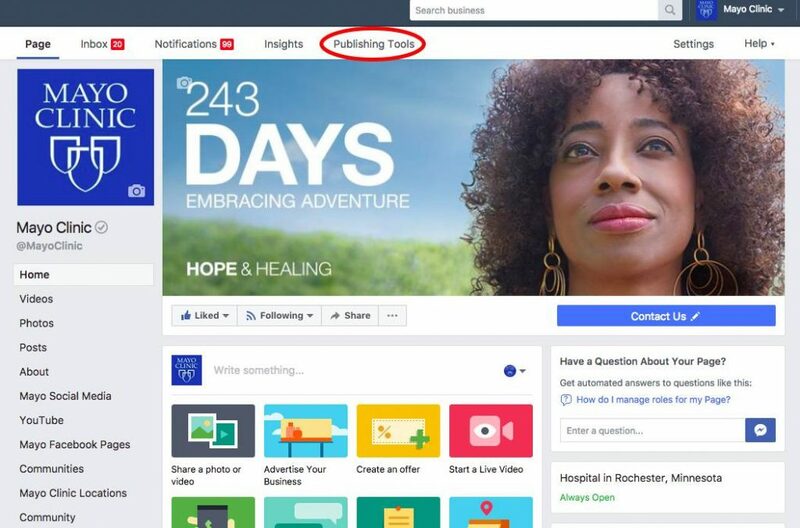 With this guide, you can schedule Facebook Lives for your Page, so your followers will receive Facebook notifications. You cannot go live with a scheduled video from a mobile device. 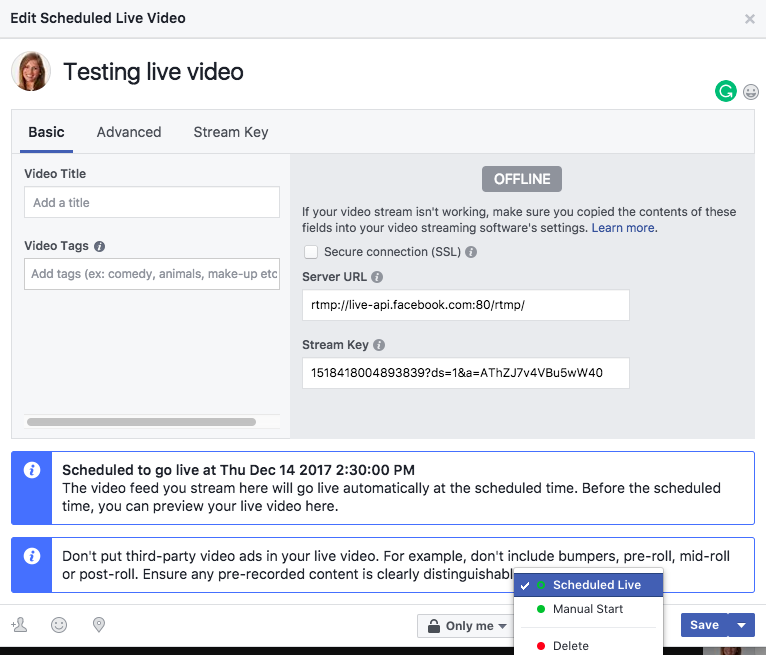 You can only schedule Facebook Live broadcasts up to one week in advance. 1. 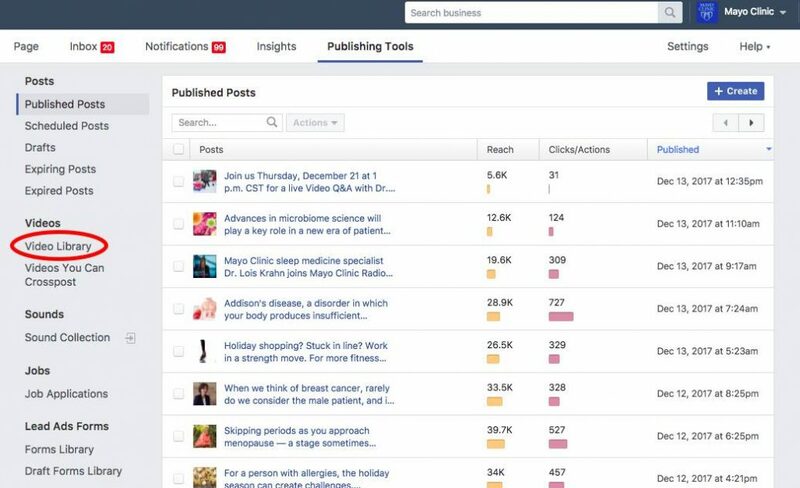 On your Page (we use Business Manager), click on Publishing Tools. 2. On your Publishing Tools page, click on Video Library. 3. 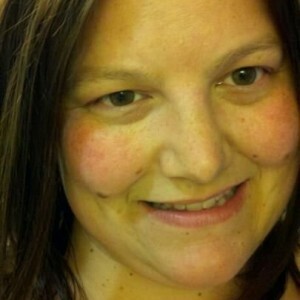 From your Video Library, click on +Live. 4. Type your post copy and add a video title. Add tags if you want. Click on Schedule. You can copy your stream key here, but you can also access your stream key later. Your stream key is unique to THIS broadcast. Protect it because if anyone gets it before you go live, they can go live from your page. You'll paste the stream key into your streaming software, such as OBS. 5. Select the date and time of your broadcast. Click on Schedule. 6. 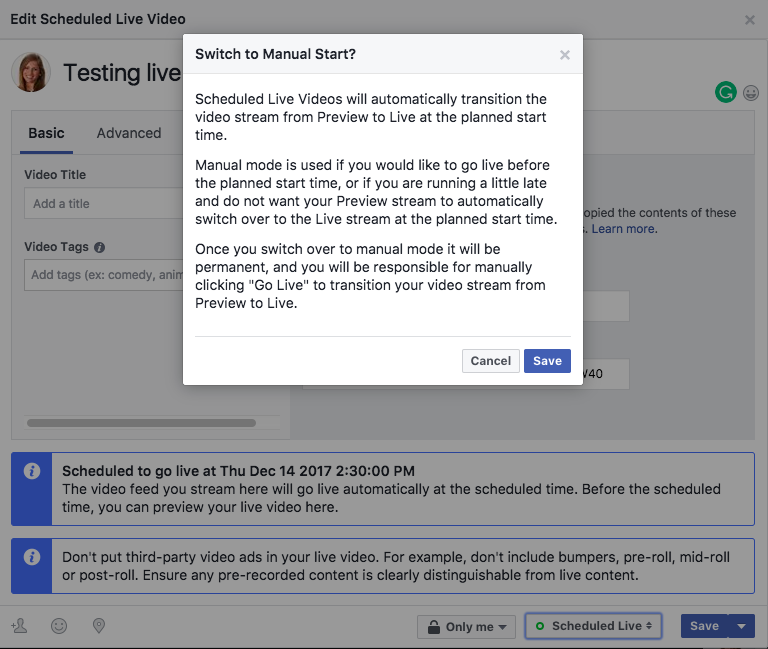 Your video is now scheduled to go live automatically as long as you are streaming video at that time. You can change this to Manual Start. 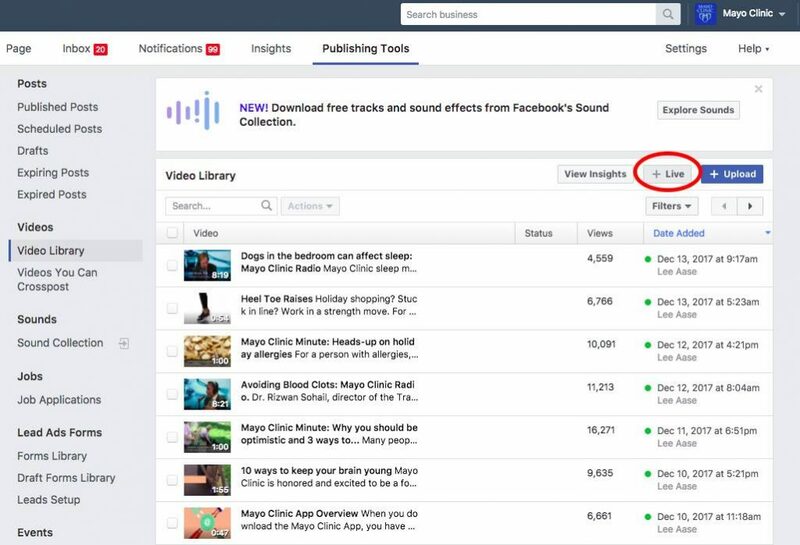 From your Video Library in Publishing Tools (see Step 3), click on your newly scheduled video. Click on Scheduled Live in the lower right corner, and select Manual Start. 7. Confirm that you want to switch to Manual Start. Click on Apply, then close the pop-up. Things happen. If you need to delete your scheduled live video, open it from Video Library and click on Manual Start in the lower right, where you'll see the Delete option. 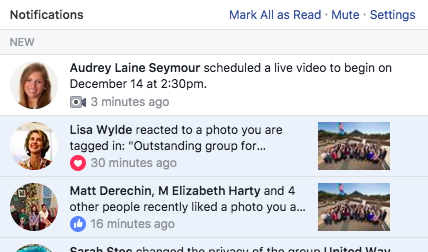 For these screenshots, I didn't schedule a Facebook Live from Mayo Clinic because I didn't want our followers to get a notification. However, this is what notifications will look like, only they will say "[Your Organization Name] scheduled a live video to begin on Month DD at X:XXpm." There you have it! Questions? Drop me a line below or hit me up on Twitter. [Your Organization Name] scheduled a live video to begin on Month DD at X:XXpm. 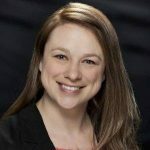 In presentations at the #MCSMN Annual Conference and Residency this week, several people have asked me how to schedule a Facebook Live on Facebook. Thank you! One of the many things I want to roll out in 2018. Is there any way I can get a PDF of this to share with management? Thank you, that’s awesome! I don’t have a PDF format, but the blog is accessible to anyone, so your management staff will be able to read it if you send them a link. You could also PDF the webpage if they prefer a PDF to a link. Let me know if you need any help. Thanks for this Audrey Laine … and so great to meet you at the conference and residency. 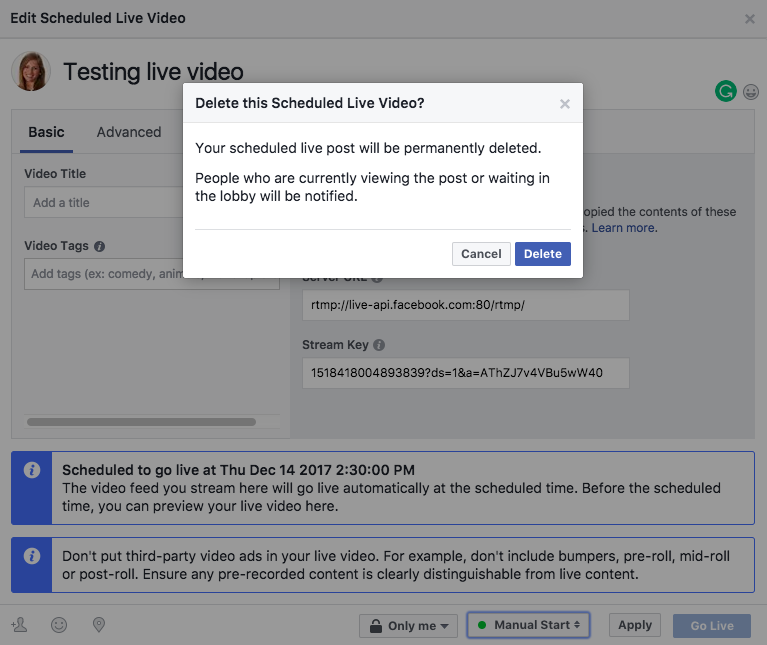 Did you post the list of equipment that is beneficial for doing a Facebook live? You had great examples at the conference but I don’t remember the names of those items. THANKS! 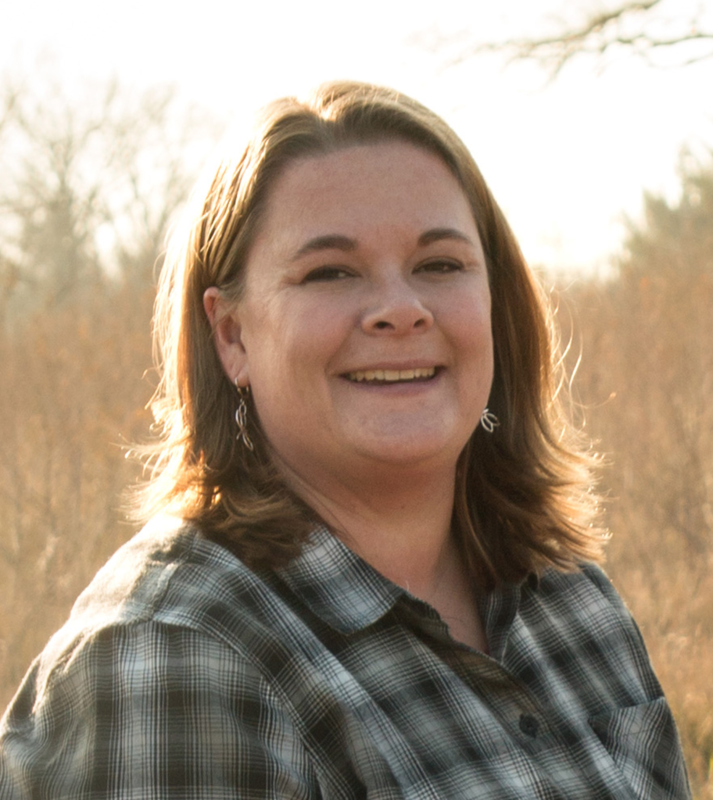 Sooo… I just realized I’m a terrible blogger and never answered your question. I’m hoping you saw this, but just wanted to follow up in case someone stumbles upon this post. All of the equipment we use (with links to buy it) is listed in the comments on this post: https://socialmedia.mayoclinic.org/discussion/notes-from-todays-member-conference-call-on-facebook-live-equipment/. 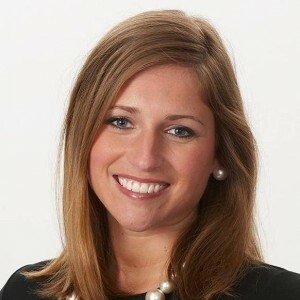 @audreylaine – Do you know if it is possible to schedule a live video, and then actually go live using a 3rd party app? We have been using a Mevo camera for our FB Lives, which is via apps on our iPad. Thanks! I've been doing some research on this and haven't found anything that would allow this from an iPad. There are several desktop apps, such as Livestream ($42/mo for basic plan), that have a "Go Live" button. 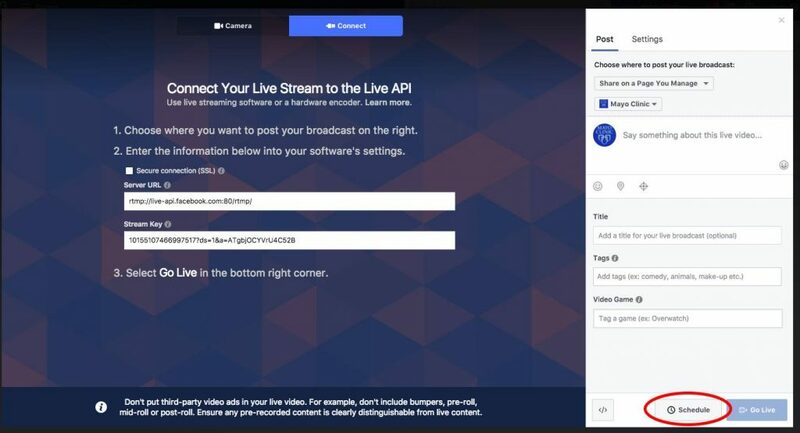 Here's what I found on that product: https://help.livestream.com/hc/en-us/articles/115006253407-Stream-to-a-Scheduled-Live-Post-on-Facebook-via-Livestream-Studio. You still have to be on a desktop, though. One thing I've done before is connected an external webcam (I use a Logitech) to my laptop, and then attached the webcam (with clips and tape) to a tripod. That way, I could use OBS and go live from a scheduled broadcast using my laptop. So you might consider giving that a try.